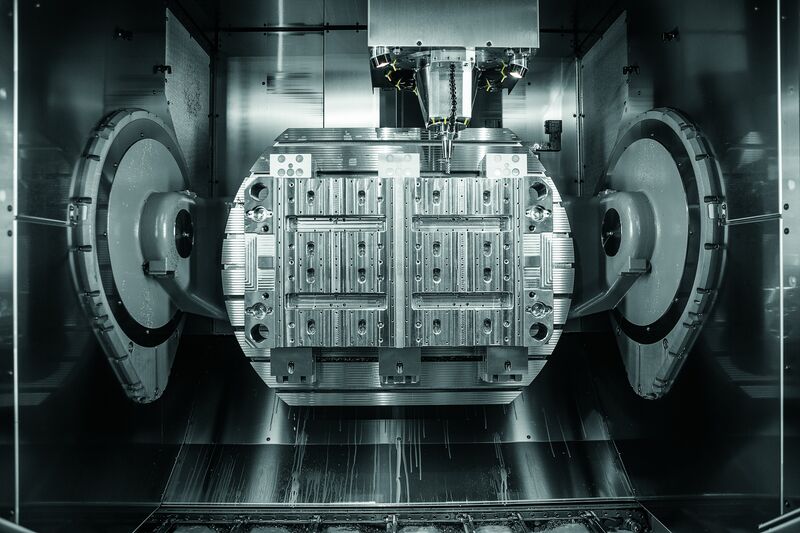 The installation of five 5-axis CNC machining centres from Hermle allows Hirschmann Automotive to turn technical innovations into high-quality mechatronic products more efficiently than ever before. 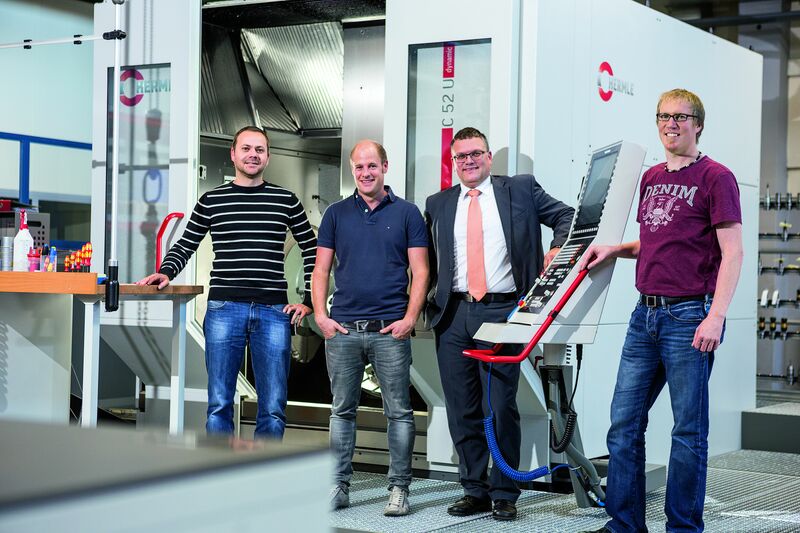 This has never happened at Hermle before – Hirschmann Automotive ordered five ultra-modern 5-axis CNC high-powered C series machining centres in one go, namely the C 12 U, C 22 U, C 32 U, C 42 U and C 52 U, covering a broad range of highly adaptable methods of per­forming machining tasks for workpieces from just a few millimetres to large-scale, 1.5 ton tool components with sizes of 500 x 1000 mm. Since the working ranges of the individual machine sizes overlap to a certain degree in the peripheral zones, milling capacities can be utilised in a highly flexible way for all machining tasks delivered on a direct application or prioritised basis. All of the machines are equipped with the new TNC 640 Heidenhain control system, NC rotary tables, HSK A 63 tool holding fixtures, main spindles with top speeds of 18000 rpm and offer the functions ACC (active chatter control) and AFC (adaptive feed control, depend­ing on the respective spindle output and other process parameters/ data). The similarity of the concepts and equipment of the Hermle machining centres and the daily experiences of employees have had a highly positive impact on the working environment. Above all, the training on the high-powered, 5-axis CNC machining centres has been well-received by the staff from the start thanks to its practical ap­proaches and efficiency. We've discovered increased positive effects on identification and confidence among our highly-qualified operators in terms of the process components "machine tools operator", which ultimately helps to maximise cutting volumes and therefore increase productivity." "Our job is to centre on the performance of external tool manufactur­ers, and we always have to be one step ahead," said Andreas Bolter, Head of Tool Making and Plant Engineering in Rankweil. 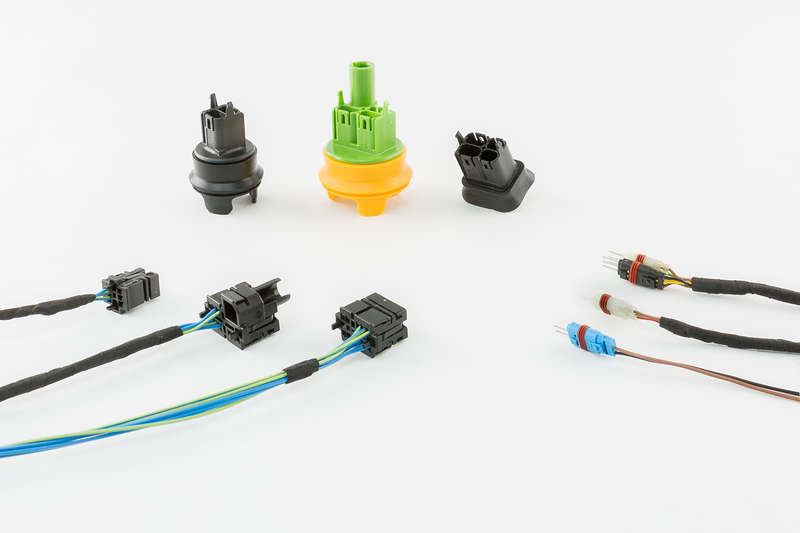 By focusing on the premium automotive sector and small to medium volumes of injection mould parts, we are able to offer a wide range of variants and therefore great diversity in our tools. 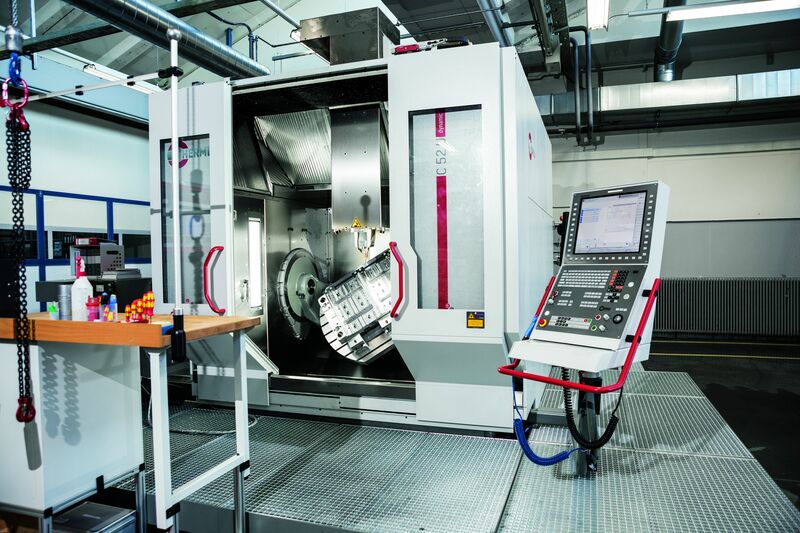 "Because we have had very good experience with two Hermle type C 20 U machining centres, one of which was fitted with the IH 60 workpiece magazine and handling system, in terms of performance and especially service over a period of several years, we opted for Hermle as a partner and launched an extensive investment programme based on 5-axis CNC machining centres." The Tool, Machinery and Plant Engineering departments, which em­ploys 170 specialists in Rankweil alone, also plays a key role. From idea to product development, to prototyping/sample production, to the manufacture of injection moulding tools to the construction of assembly plants and automation facilities, all of the company's threads run in a coordinated fashion here. important countries of the world. Hermle machines are produced in Southwestern Germany in a region which has been the home of precision mechanics and machine tools for many generations. Hermle's machining centres are used for efficient machining of tools, moulds and series-produced parts. Owing to their quality and high precision, they are used in numerous production areas, including in particular highly demanding sectors such as medical technology, machine construction, the optical industry, aviation, the automotive and car racing industries and their subcontractors. Caption 4: shows the product group of special cable assemblies. At the interface between the dry and wet area (mirrors), in many space limited situations (door handles, lighting) and in heavy duty environments (bumpers).